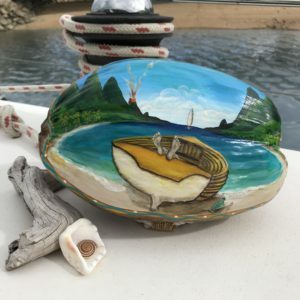 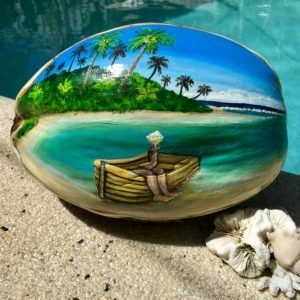 All Coconuts used by Jenn Payne for her paintings are collected from the Shores of the islands & coast of North Queensland. 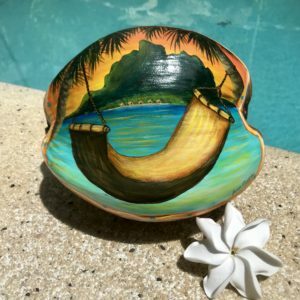 Jenn selects the suitable coconuts & stores them until they have dried out inside so they will not shoot. 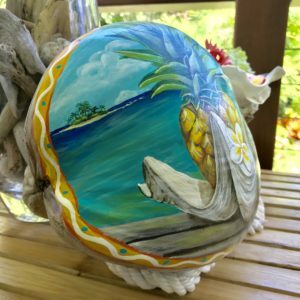 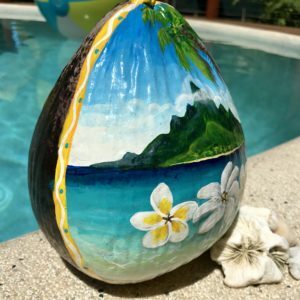 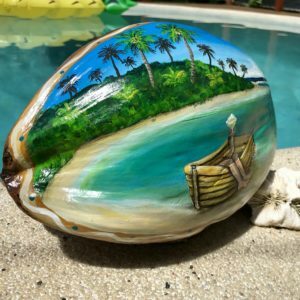 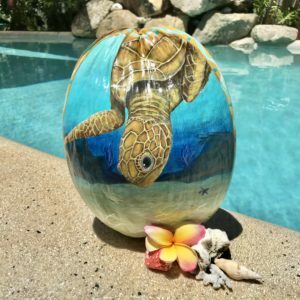 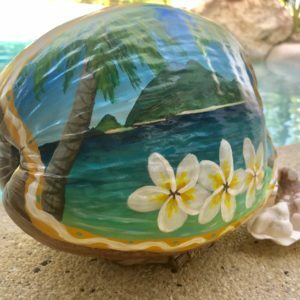 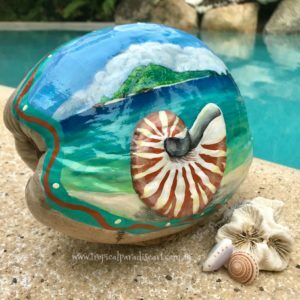 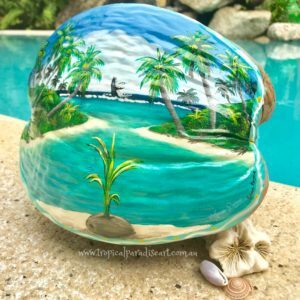 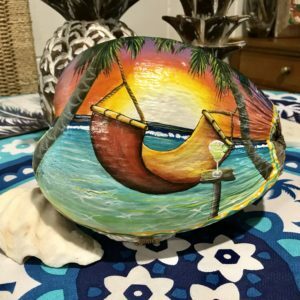 She then cleans & primes the coconut & hand paints a fun tropical scene in acrylic paints before sealing it with a long life sealer. 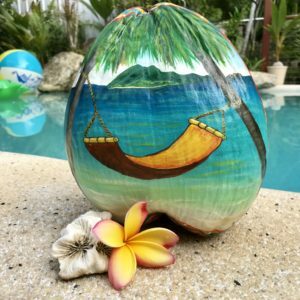 Most of the coconuts are mounted on a rope or sea grass mount to let them sit evenly. 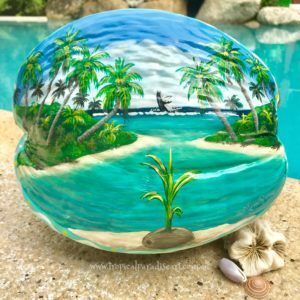 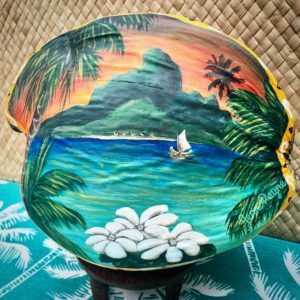 Your hand painted coconut will last indefinitely as long as it is kept out of the weather and not dropped or knocked about. 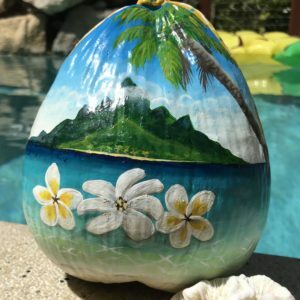 UNFORTUNATELY we cannot send coconut art pieces OVERSEAS because of quarantine regulations. 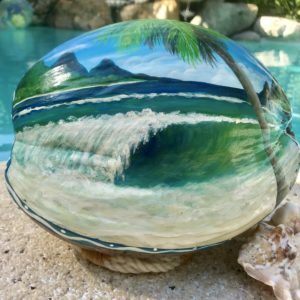 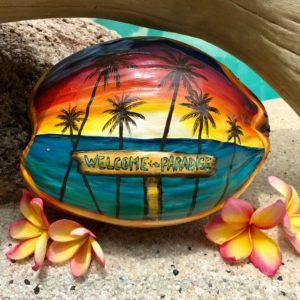 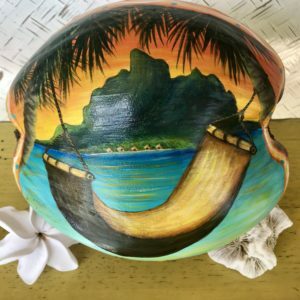 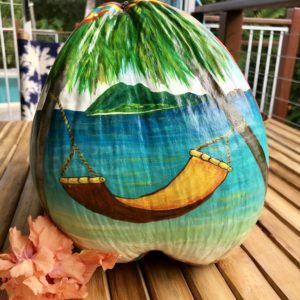 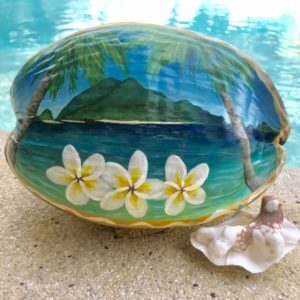 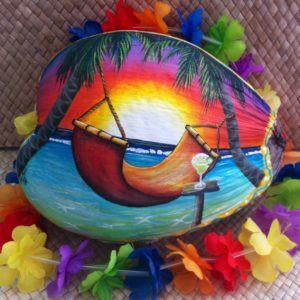 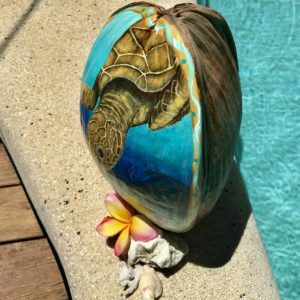 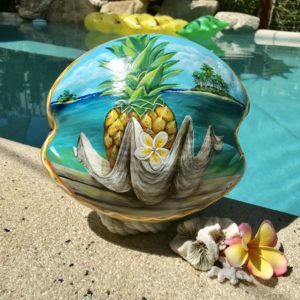 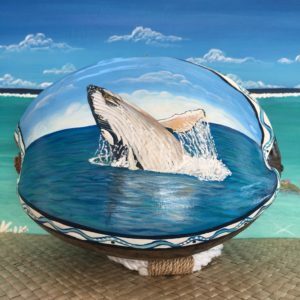 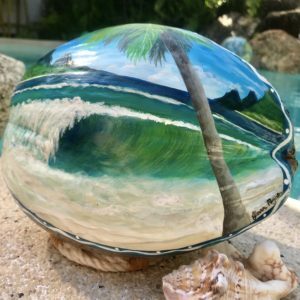 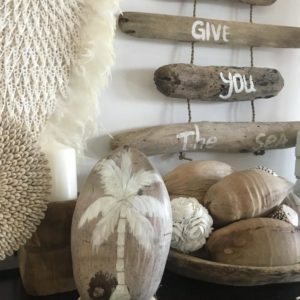 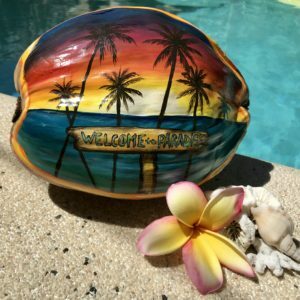 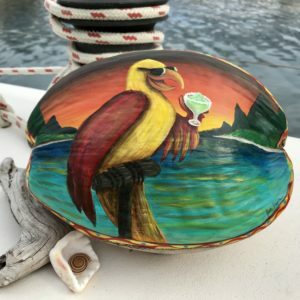 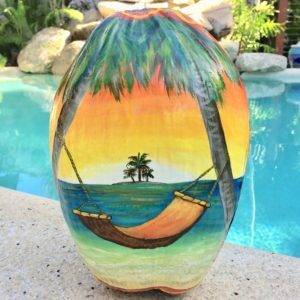 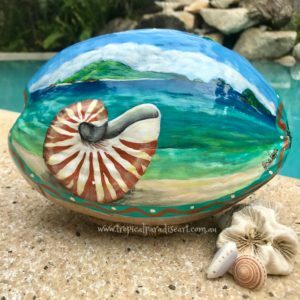 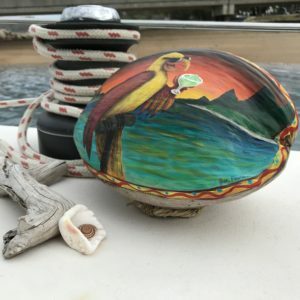 A unique Tropical gift for that someone who is hard to buy for…you can bet they don’t have a Painted Coconut!